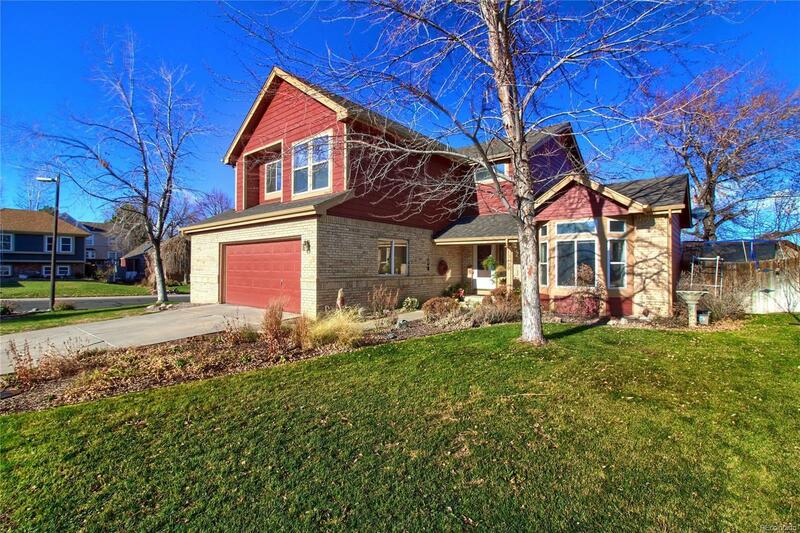 Welcome to this absolutely gorgeous home that demonstrates pride of ownership throughout. At just over 3600 total square feet, you'll be provided with ample space for comfortable living while the unfinished basement provides even more space for future finished living areas. The spacious main level features two living rooms and a gas fireplace, a main floor office with custom shelving and lighting, a large laundry area and mud room, an updated bathroom, amazing hardwood flooring, and a beautifully remodeled kitchen. The kitchen is stunning! With semi-custom Kemper cabinetry, granite counters, new Jenn-Air and Bosch appliances, an induction cooktop, and soft-close drawers, this space is second to none. Upstairs you'll find all 4 bedrooms on the same level. The master retreat boasts vaulted ceilings, beautiful flooring, an amazing bathroom, and a huge walk-in closet. The views from the master are great too! Enjoy the cul-de-sac location and numerous new amenities nearby.